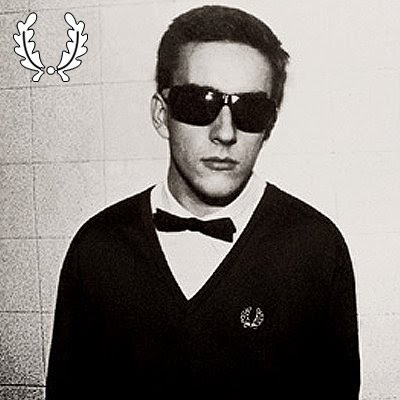 Due to arrive in mid September later this year is the Fred Perry x Terry Hall Limited Edition v-neck sweater. The 70's style v-neck will actually be made to the original specification: deep V, oversized laurel and original cut. Only 500 individually numbered v-necks will be released worldwide in classic black and maroon from 100% British lambswool, personally I want the black one! The super limited edition sweaters will not be reissued by Fred Perry at any time, and no other colour options will be released, meaning anyone that wants one will have to act quick! Its back. the V neck sweater. Do you have to wear a shirt under it? And Nada Surf is pretty wicked. NADA SURF! you gotta love nada surf. that's a really great v-neck sweater. gotta love the classics. make sure to post some pictures, if you got yours!